of only 1/3 is NOT a good investment. In the past, I've ordered plants from you every couple of years (last year, too, was some milkweed), but this order has given me second thoughts about the quality of your wares. This winter in our part of MT was the worst in 60 years - 6 foot snow drifts, cold, windy and lasting from Jan 5 to the end of March. But as the snow melted , I could see little green daffodil tips poking up. And then! A glorious carpet of yellow/white/pink for nearly 6 weeks! Maybe the extra moisture, heavy snow cover or maybe just these daffodil bulbs are so vigorous - but I've never seen daffodils like this. I bought another case to expand my spring and share with friends! Surprised at how great the selection was in terms of range. As others have said, there are many fancy types among the mix . I have ordered a second 100 for next fall. The only thing I would say that at least my mix did not include many pure yellow so would think about another mix if you want a sea of yellow look. I have purchased about 1500 bulbs of this mix since 2011 adding annually to my garden. I also have planted another 600 of them in our community cemetery and two local parks for the community to enjoy. I love the fact that they bloom over about a 2+ month period because not all the varieties bloom at the same time. It is an amazing value. Each year we plant an additional 100 bulbs of “The Works” on our large hillside garden with wonderful results. The mix includes such a great and varied selection of different varieties and color combinations that the “show” goes on for weeks! 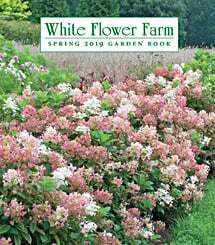 I like to preorder in the Spring and then be pleasantly surprised when my shipment automatically arrives in the Fall just in time for planting. The bulbs are consistently large, healthy, and dependable. An order of “The Works” also makes for a unique and special gift that anyone would love!